So were you a bit annoyed when Steve Jobs introduced the new HDR features of iOS 4.1 and realized it wouldn’t apply to your iPhone 3G or 3GS? Well stop being annoyed because apparently there will be a jailbreak app for that. 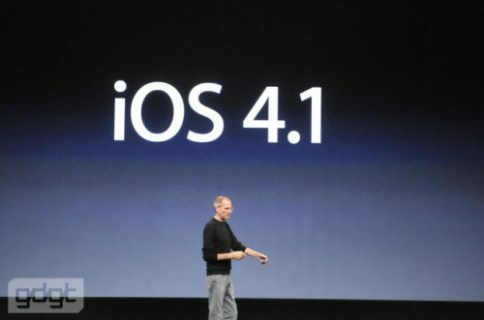 As iDB reported there is a rumored jailbreak coming for iOS 4.1 that is said to work on all the devices running the new version of the operating system. So those of you using the previous iPhones, be patient.